Bellamy-Lawrence Animal Hospital and Brimley-Lawrence Animal Clinic are dedicated to educating you about your pets and their overall health. Below you will find blog topics listed on several important subjects. Should you not find the answer to your specific question or concern covered in our blogs, please feel free to contact us or pay us a visit in the Toronto area! Many pet owners find themselves musing that it’s amazing just how much hair their four-legged friends shed on furniture, clothes, floors and carpets. 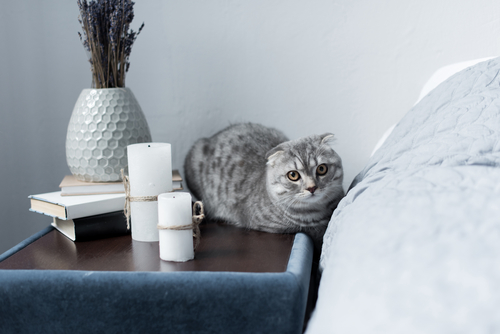 While a home filled with fluff is an unavoidable part of having a cat or dog, there are a number of ways to keep it to a minimum. Adore your feline companion? Want to make “mittens” purr with satisfaction? Of course you do! 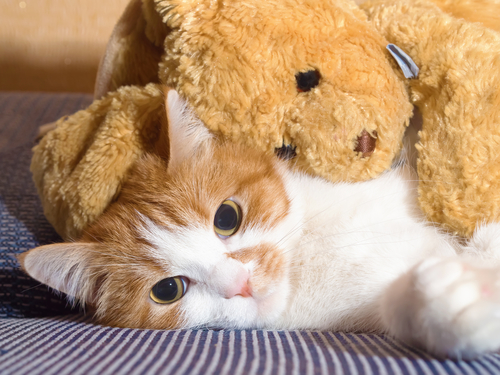 Here are 10 things your kitty needs to feel happy and content. One of the more stressful experiences in a person’s life is moving to a new home. Just imagine how anxiety inducing it must be for a dog—he or she has no idea what’s happening! All of a sudden their routine is disrupted, new people are coming and going in and out of their space and objects in their home are being packed and rearranged. Then they find themselves in a completely new environment where nothing is familiar or recognizable. 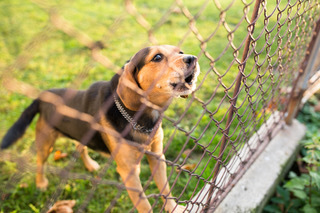 As much as we love our canine family members, there’s one thing that can drive any pet parent crazy: non-stop barking! Thankfully, there are ways to help your pet overcome this troublesome habit, but first, you must understand why they’re doing it. Stereotypically, cats and dogs have a mutual hatred for one another. However, the thing about stereotypes is that they aren’t necessarily true. 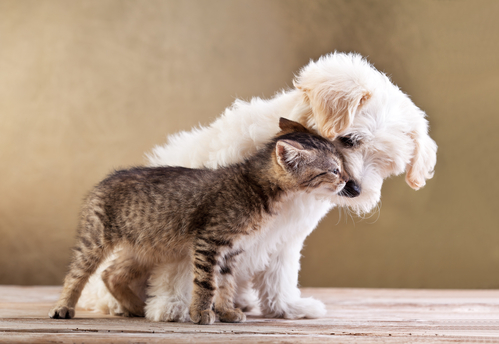 Your family can include both a dog and a cat and, with a little help from you, they can get along like the best of friends. 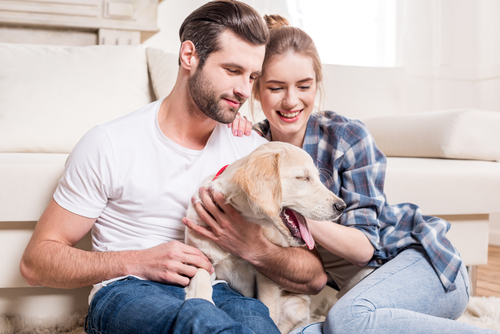 Few things are as exciting as getting a new dog, but if you already have one or more canines living in your household, bringing the newest member of your family into your home can also be stressful. 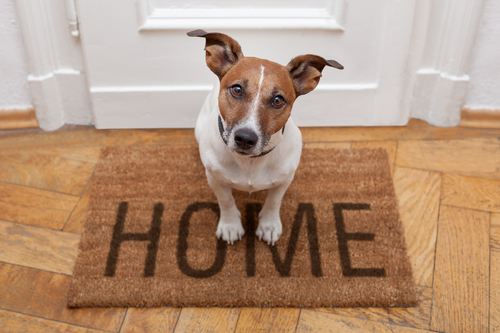 Your old dogs are going to consider your new pet as an intruder in their territory. Since dogs rely heavily on smell, there are a number of steps you can take to get them used to each other’s scents and therefore become comfortable living together. 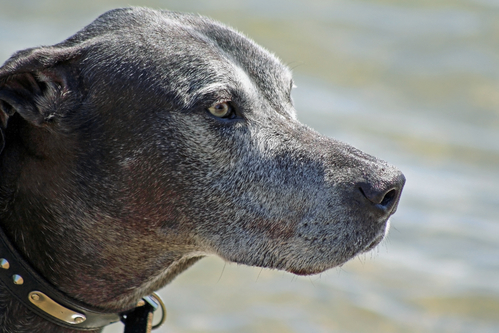 A common side effect of aging or disease in pets is vision loss. As a pet owner, you should be aware of signs that may indicate impaired vision, as well as how to care for your pet after they have been diagnosed. If you notice your pet acting in a way that doesn’t seem quite right, you might wonder whether dropping everything and taking them to the veterinarian immediately is the appropriate response, or if you’re simply overreacting. Certain symptoms are indicators of a serious issue and their presence or absence can help you judge the urgency of the situation. However, don’t hesitate to contact a veterinarian if you think something may be wrong, since when it comes to your pet’s health, it’s absolutely better to be safe than sorry. 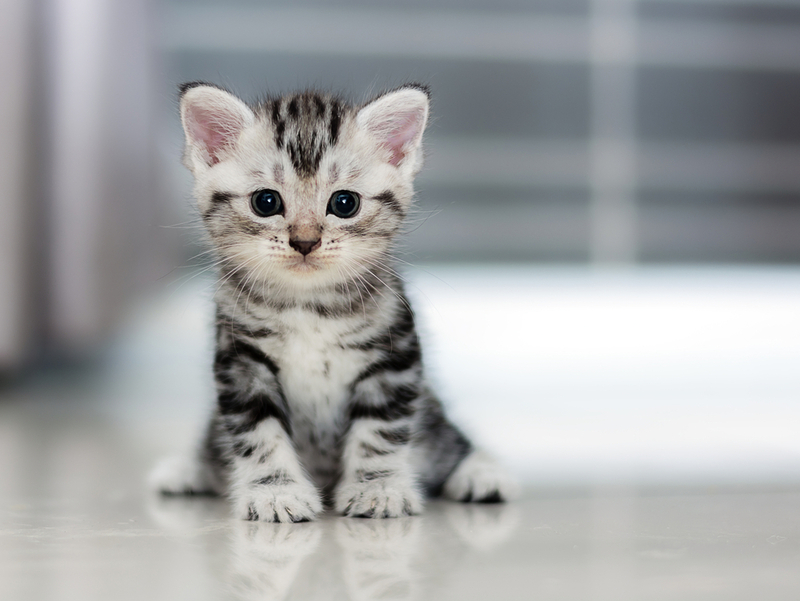 Adopting a pet is exciting, but when it comes to bringing home your new cat or kitten for the first the first time, there are a few things you should know. For starters, your home is a foreign place for your new cat. It’s riddled with new sights, sounds, smells and surroundings, which can easily overwhelm or even scare your new pet. However, there are a number of ways you can ease the transition. Keep reading for more information about what you can do to make bringing your cat home as stress-free as possible. How well dogs adopt the behaviours you want them to comes down to one thing: consistency. It may seem simple enough in theory but in practice, it requires ongoing commitment and dedication. 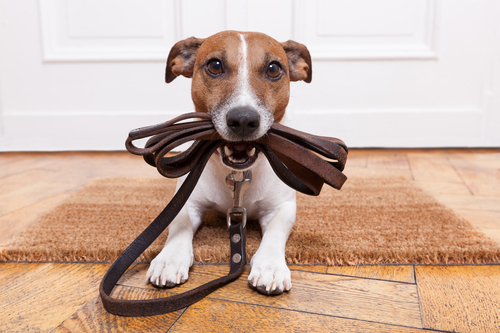 Here are some ways you’ll need to be consistent if you want your pup to be well behaved. If you follow our blog regularly, you may recall that one of our first posts was 5 Types of foods you should never give your dogs. While we went over the downfalls of canines ingesting chocolate, alcohol, tobacco, raw meat, grapes and stone fruit, there are a number of other foods that are toxic to your pooch. Always call your vet or visit an animal hospital for an emergency visit if you suspect your dog has ingested a toxic substance. Should you consider chiropractic treatments for your dog? Does your dog have difficulty climbing stairs? Does he have decreased mobility, an abnormal gait, irregular posture, or trouble standing, lying or jumping? If so, a dog chiropractor may be able to help. Like humans, your pets can develop food allergies over the course of their lives. Unlike us, however, they won’t be able to say which thing they’ve eaten has made them feel bad. That why it’s up to us, their friends, to do a little sleuthing and figure out if our pets have food allergies and which foods are causing reactions. Untreated allergies can be dangerous for your pets and even send them to the animal hospital. 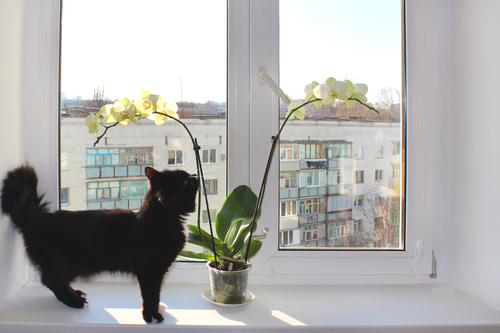 What houseplants are safe to have around pets? If you don’t want to spend time and energy devising pet-proof protection for your houseplants, the easiest way to avoid the problem is simply to only grow plants in your home that won’t harm your pets. They may still try to make a snack of your plants, of course. You should try to keep you pets away from houseplants in general but, if they do find a way to get at them, you want those plants to pose no real threat (and hopefully your plant will make it through the experience too). As responsible pet owners, we try to be conscientious of our cats’ health and happiness. It can sometimes be difficult to know exactly when our cats are not feeling well. Although they like living with humans, there’s still a part of them that’s wild. In the wild, showing that you’re in pain is a good way to draw the attention of predators, so your cat is naturally unwilling to let you know when he or she is in pain. That means that problems can develop for a long period of time without us knowing about them. At Brimley-Lawrence Animal Clinic and Bellamy-Lawrence Animal Hospital, we’re pet lovers. We do everything we can in both of our clinics and cat hospitals to help you give your pets the best lives possible. Although our cats can be our best friends, that doesn’t mean we always understand the things they do. One minute they’re demanding affection from us, and the next they’re hunting imaginary mice around your home. Cats are very particular about how they look. Using their special tongues, a cat can spend a large part of each day grooming him or herself to keep his or her coat looking its best. Their coats are, in fact, more important to them than our hair is to us. For a cat, his or her coat not only provides protection from the environment, it can also provide sensory information for navigating tight spaces and helps produce important vitamins that contribute to his or her health. Can an indoor cat become an outdoor cat (and vice versa)? Despite popular myths, cats are really energetic and social animals. They can live happy lives indoors with their family, outdoors in the wild, or some combination of the two. Some people think that cats can’t transition from one kind of life to another, but they can. 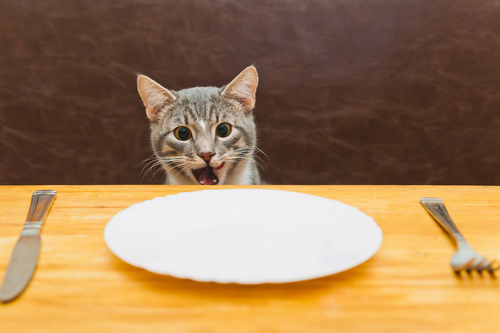 Cats have been sharing our lives and our food since about 8,000 BC. And yet, they haven’t changed that much since they started living with humans. Dogs, by contrast, have changed a great deal in how they look and behave since they were domesticated more than 15,000 years ago. Unlike dogs, who can be taught to respond to commands, cats tend to interact with humans on their own terms. Cats enjoy living with humans but are happy to just do their own thing, which includes only eating the foods that they prefer. Different dogs can vary considerably in how they react to pain. Some will immediately let you know it while others might quite convincingly cover it up. So how do you know that it's time to bring your pooch in to a Toronto animal clinic? Thankfully, even the most stoic of dogs are going to show symptoms of pain, especially if the pain is severe. At Brimley-Lawrence Animal Clinic and Bellamy-Lawrence Animal Hospital, vet clinics in Toronto, we teach pet owners to be on the lookout for the following signs that their dog might be in pain. 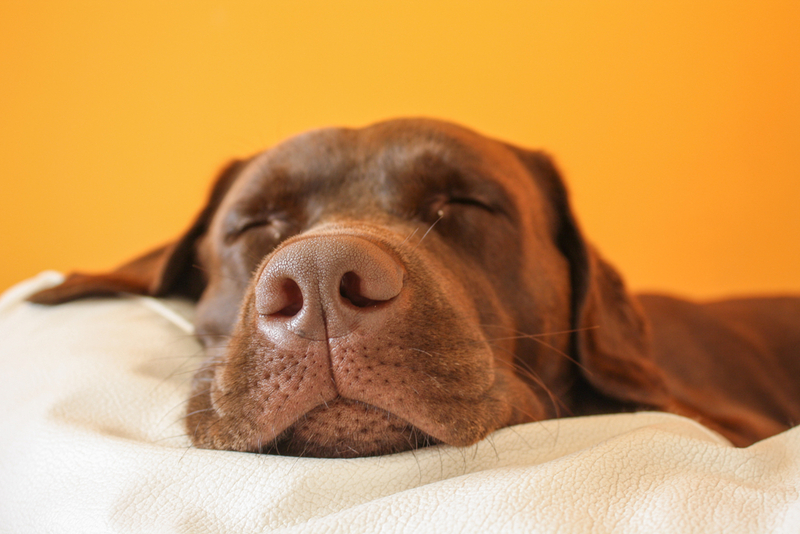 Does Your Puppy Have Kennel Cough? It’s nothing to be too alarmed about, but you should probably skip down to your local dog clinic in Toronto for a quick check-up anyway. Kennel cough is very contagious and should be addressed quickly. What Does The Cat's Meow Say? Meowwww!! Do you ever wonder what your cat is trying to say to you? The sounds your feline pet produces can mean various things. 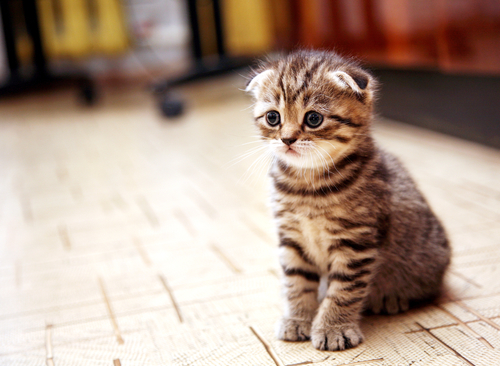 The tone and pitch of their meow can help you understand what they're feeling or trying to say. As kittens, all felines meow to communicate with their mothers. Wildcats eventually lose this ability while domestic cats do not. Meowing is what allows domestic cats to communicate with their human parents. Can Your Dog’s Chewing Habits be Dangerous? Puppies love chewing on everything in sight. As adults, they’re generally more controlled and will contain their chewing to bones and chew toys. 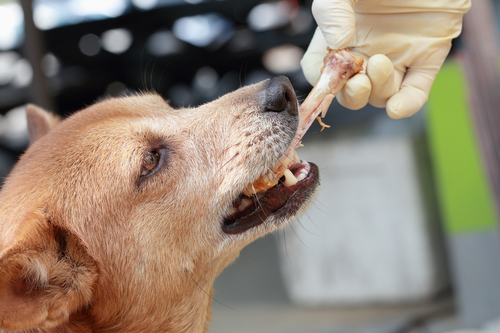 As your dog matures, if it continues to eat objects other than food, you should consult your veterinarian as they might suffer from a condition called pica, which makes them crave non-food items. If you’re a cat owner, or more appropriately if you are in service to a feline friend, then you know cats can be finicky. The reality however is that cats ‘talk’ all the time using a variety of signals - body postures, facial expressions, and vocalizations - to convey their message and avoid unwelcome confrontations. At our animal clinics in Toronto, we conveniently provide an extensive range of feline services all under one roof to make sure your pet is and remains healthy. Brimley-Lawrence Animal Clinic and Bellamy-Lawrence Animal Hospital’s cat clinics in Toronto will please even the most demanding cats. So if you ‘own’ a cat, be prepared to learn feline. 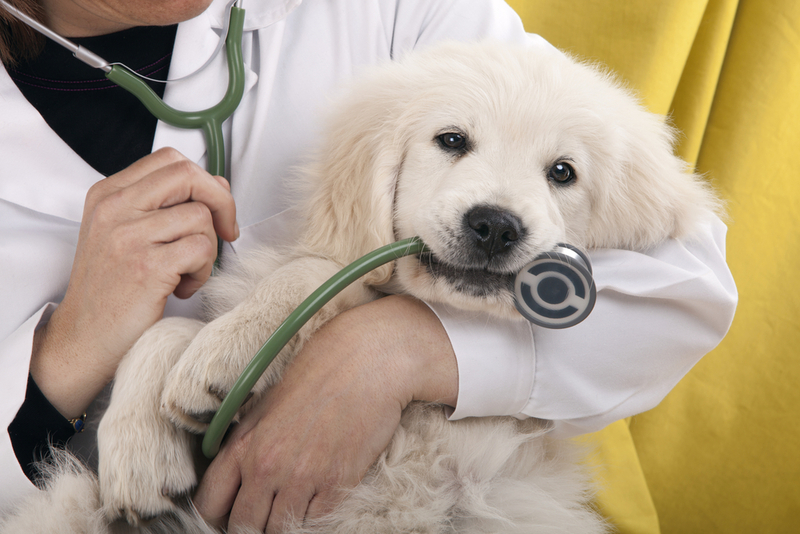 Should You Bring Your Animal For Annual Clinic Visits? For humans, we’re aware that routine trips to the doctor or dentist are important preventative techniques for early detection and the ongoing treatment of a host of conditions. It’s the same for our pets; regular visits to the vet can significantly improve early diagnosis and treatment of the issues that impact your cat or dog’s health. After you spay or neuter your pet at our clinic in Toronto, you may wonder how to best take care of your furry friend. It’s a vulnerable time in his or her life, and you want to make sure that post-op care goes as smoothly as possible. Here are some general guidelines to follow, but be sure to check with your vet for any additional recommendations. 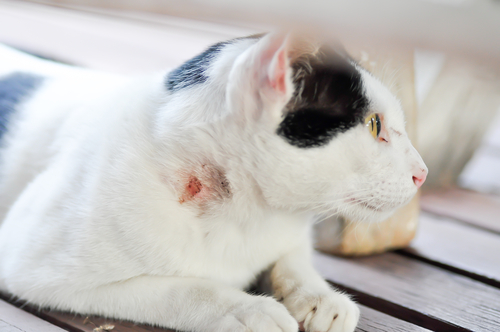 When your cat has skin that’s itchy or sore, it can be troubling. The source of your feline’s discomfort may be due to any number of things, and pinpointing the cause isn’t always easy. It’s best if you bring your kitty to visit us at Brimley-Lawrence Animal Clinic or Bellamy-Lawrence Animal Hospital. Our cat clinic is open seven days a week to residents of Toronto, Scarborough and other surrounding areas. We’ll offer a diagnosis and treatment that’s bound to get your feline friend back to his or her regular self. However, if you want to use a home remedy that’ll offer a bit of relief before your appointment, here are a few things you can try. Can Immunotherapy Cure Your Pet of Allergies? Unlike pet vaccination, animal allergy shots provide somewhat uncertain results in Toronto, Scarborough and other surrounding areas. Success rates are generally high, but in approximately 20% of cases, the effects of the treatment are minimal or non-existent. Still, allergy shots are worth considering if you have pets who are otherwise healthy but suffering from the effects of environmental allergies. It's never easy seeing your pet go through pain, whether their pain is temporary or chronic. Although today's modern medicine provides many helpful avenues for pain relief, it's good to consider all branches of the medicinal tree. Whether new or old, local or foreign, there are countless ways to treat an animal that's in pain. As a pet owner, you can learn the different options available to help improve your pet's quality of life. And if it means a smaller dosage of prescription drugs with fewer side effects, what have you got to lose? Read on to get a feel for some of the more common prescriptions and alternative sources of pain relief for your loved one. One of the most common questions pet owners ask their vet is, “What should I feed my dog?” The answer to this question will vary depending on the breed and size of your puppy. However, there are some universal truths for proper pooch nutrition that never change. 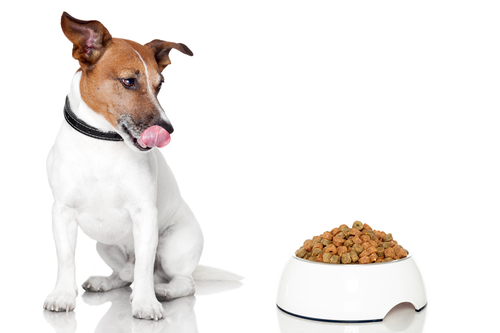 Here are some guidelines to follow when it comes time to deciding what to feed your dog and what you should avoid. 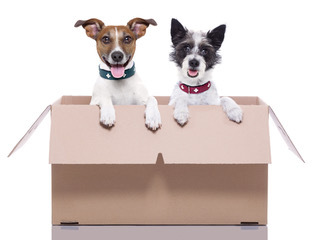 Is Getting a 2nd Dog the Right Choice for You? Your dog is part of your family, so making the decision to bring in a new family member (or a second dog) is a big one. Will the new dog get along with your current pooch? What extra work comes with having a second pet? We'll discuss all these questions and more in this post as we explore the different issues that arise when getting a second dog. 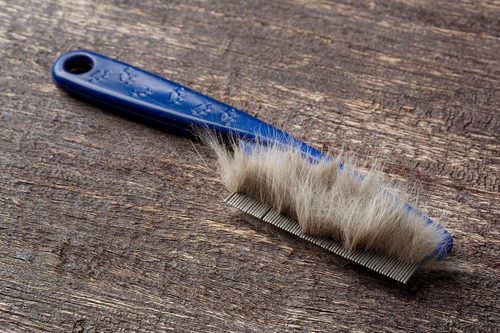 No matter how much you brush a dog's coat, fur still seems to get everywhere. It hides on the couch and on clothes and on carpet. While some dog breeds shed more than others, all dogs shed fur. If you live with a dog, you know that at times it may be difficult to handle all the excess fur. Guests may avoid your home simply because they wish to avoid all the fur sticking to their clothes. Or you may consider leaving your furry friend outdoors to keep the fur to a minimum. But before you take drastic action with the hair clippers, take the time to understand why your dog's fur is important and why dogs shed often. If you could recall your first visit to a doctor's office you would remember feeling out of place. There are unfamiliar smells and sounds. The doctor is using instruments you've never seen before. It can be intimidating and your pet can feel the same anxiety. There are some animals who like the attention. However, if you know your animal doesn't like new situations, this can be a scary experience for them. Having a dog is a lot like having a child. You go to great lengths to care for your dog and you love them dearly. For many couples, the thought of introducing a child into their family dynamic comes with a few anxieties. If you are feeling stressed and asking yourself a lot of questions about this transition, prepare yourself for bringing home baby to meet your dog. Here are some tips for introducing your dog to a new baby. Traveling is often a must, even for pet owners. Many people are required to take business trips, and almost all of us need a vacation every once in a while. A pet can throw a wrench into travel plans, especially if traveling with a pet is too expensive of a travel destination isn’t pet friendly. Enter the pet sitter, the saviour of pet owners everywhere. Babysitting requires a whole host of activities, from making sure your charge is safe and happy to removing dangerous objects to keeping the house clean. 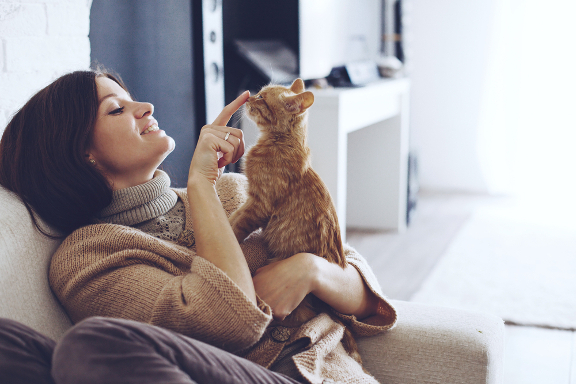 Pet sitting is fairly similar—your goal is to keep your employer’s animal safe, happy, and comfortable throughout their owner’s trip. Read on for great tips about how to do just that. People love playing with puppies and kittens. They enjoy holding them in their arms and watching them explore a world they are already intimately familiar with. Their fur is soft, they smell great, and their energy level is through the roof. But as these little bundles of cuteness grow older, they begin to develop. They become less playful, less cuddly, and they lose that new puppy or kitty smell. The most noticeable change is their breath. 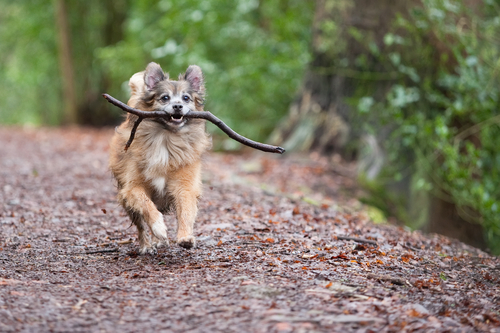 Whether your dog is energetic or easy-going, off-leash dog parks are the perfect treat to keep your pet’s spirits up. If you’re located in or around Toronto, here’s a list of off-leash dog parks and areas to ensure your canine stays active, healthy, and happy. Is your cat curled up on your lap purring right now, pawing at the keyboard and trying to get your attention? She spent the day snoozing in the sun, meowing animatedly at you, and clawing at bits of string. On a typical day, it might be hard to see the connection between your cat and majestic wildcats stalking their large prey through the wild. If you're a dog person, you might have a similar question: how did the smiling, floppy-tongued animal tracking dirt into your house originate from the reserved, cautious grey wolves of the world? What is it about those fuzzy little fur-ball friends of ours? Puppies fill us with delight and make our troubles just melt away—the way they clumsily learn to walk, how they discover their tail . . . and attempt to chase it, how tuckered out they become after trotting about filled with complete and utter happiness. Yes, it can’t be denied, even naughty puppies have a way of making us fight back a smile. Their honest little expressions and open giving of affection will get you every time. For a dog lover, it doesn’t matter the age or type, all dogs make your heart skip a beat. Going to the shelter is risky business, because you would take them all home with you . . . if you could. For many dog owners, their four-legged friend is a valued member of the family. Your pooch may be accustomed to undivided attention and a set routine, but all that will change when you bring home a baby. Imagine a hot summer day. Your family goes into the store to grab something, and you decide to wait it out in the car. The temperature soon begins to climb to about 60 degrees Celsius (140 degrees Fahrenheit) in your vehicle. You have no water, fans, or air conditioning. And you're wearing a fur coat. While this situation may seem ridiculous for a human, it's fairly common for dogs. Dogs are covered in fur that can heat up their bodies. Like humans, they need to keep cool, but their beloved owners don't always remember this. Your cat or your dog is more than just an animal you own. It's a member of the family and one of your best friends. The more attached you become to your pet, the more difficult it is to cope with its loss. Similarly, your children may bond to your pet and may be just as devastated by grief when it dies. Younger children might not fully understand what happens when a pet dies, and special consideration should be made when helping them cope with the loss. But don't give up hope. The grieving process may take time, but together, you and your children will eventually heal. When you first bring home a new puppy or kitten, it’s hard to imagine that soon they’ll grow up and be more than a soft little ball of cuddly fur. However, that time will come sooner than you think, and before it does, you need to have your pet spayed or neutered. You want to do what’s best for your pet, but you might not be sure if spaying/neutering is really a good idea. Will it change their behaviour? Does your pet want to reproduce? To separate the facts from the fictions, you should know the benefits of spaying/neutering your pet, and the truth about some common myths you’ve heard. It used to be that a nine-year-old cat was considered ancient. But these days, an indoor cat can live for up to 15 or 20 years, and becomes a senior when they’re about 10. The endless sunshine of summer might be glorious for you, but it may be miserable for a furry dog. Your canine friend's luscious coat makes enjoying the summer heat nearly impossible. Since he can't just throw on some shorts and a tank top, your dog will spend most of the summer lounging in your air-conditioned house. Bored dogs can develop destructive tendencies. How do you keep your buddy entertained? 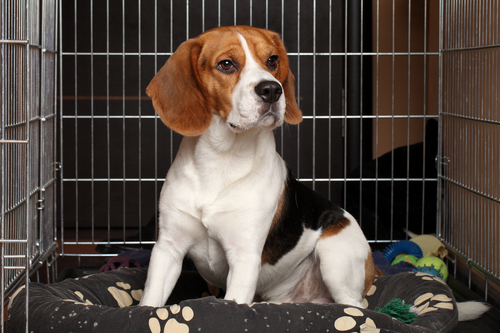 Read on for ways to keep your dog active indoors. Not sure if your cat should be an indoor cat or an outdoor cat? Do you feel guilty for keeping your cat inside all day? The outdoors provides some great benefits like sunlight and fresh air. 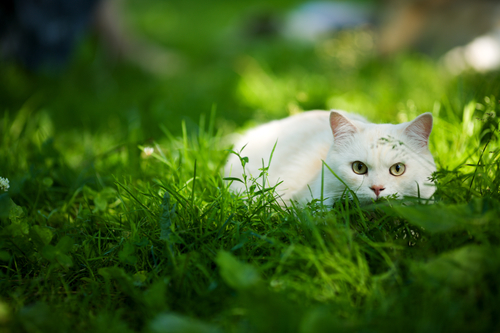 But there are some things you need to know about whether or not to let your cat outdoors. If you see your pup itching, scratching, and twisting around as if trying to do a wonky version of the Macarena, then he or she may have fleas. Though fleas sound like harmless pests, if left untreated, your precious pooch could develop a serious infection or disease. Here is the foolproof method to spotting fleas and forcing them to pack up their pesky bags and flee. Is your cat packing on too many pounds? Oftentimes, people associate indoor cats as lazy felines, but this doesn’t have to be the case. All cats need exercise. Rely on at-home workouts to help your cat become happier, healthier, and more energetic. Though it may take a little bit of creativity on your part, all your efforts will pay off by having a happier, healthier feline friend in the end. 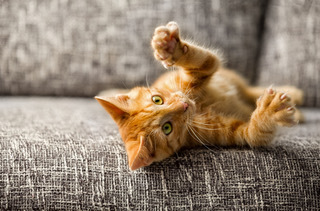 Here are some tips on how to get your cat up and moving. Your dog is your beloved companion who sticks by your side through every stage of life and who greets you eagerly at the end of the day, anxious to play. While your dog can't communicate with words, you probably understand his unspoken communication very well. A tilted head and extra good behaviour might mean that he is asking for a treat. A ducked head and the tail between his legs probably mean your pet has done something he knows he shouldn't have done. 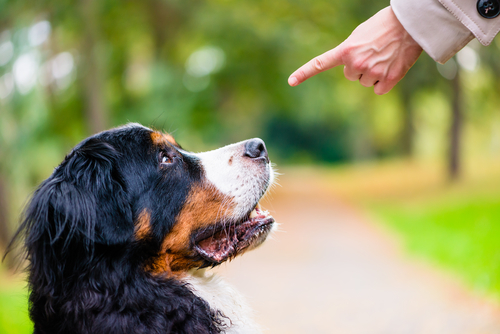 The better you know your dogâ€™s behaviours, habits, and ways of communicating, the better you will be able to tell if something is wrong. When your dog is sick or injured, he will try to communicate that to you. Pay close attention to the following signs that signal illness or injury. When it comes to finding a cat that is compatible with your cat allergies, there are a lot of common misconceptions. 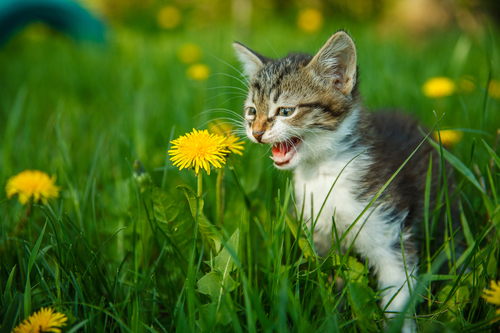 Here is a list from our animal clinics that uncovers the myths and helps you decide which cat is right for you and your allergies. Unlike humans, dogs come with a ready-made pair of shoes and their padded paws! Your dog's paws insulate against extreme weather and protect paw tissue, bones, and joints from injury. For your dog to be healthy and happy, her paws need do their job right. As a dog owner, you can take a lot of steps to keep your dog on her toes all year-long. We brush our teeth twice a day. We floss and visit the dentist to take care of our teeth. But what about our dogs? How can we help them maintain strong oral hygiene? Part of the care you give to your "best friend" should include oral care. Start by brushing your dog's teeth and by looking for signs of oral maladies. Winter can be tough on all of us, but it can be especially tough on cats who like to venture outdoors despite Toronto’s heavy snowfall. There are always dangers lurking outside for cats, but felines are especially vulnerable in colder temperatures. These seven tips will help you protect your furry friend. Watching your sweet little puppy get sick can be heartbreaking. No pet owner ever wants to see their furry friend fall ill. That’s why pet vaccinations are such an important part of keeping your puppy happy and healthy. Keep reading to learn all about the signs and symptoms of some common illnesses that puppies suffer from and why your puppy needs to get his/her pet vaccinations as soon as possible. Just like people can feel down due to Seasonal Affective Disorder (SAD), so too can your little kitty get the blues when the weather outside is frightful. And while there’s not much you can do to stop winter from coming to Toronto, there are a few things you can do to prevent your fuzzy friend from feeling the effects of wintertime sadness. Keep reading for six great tips from Brimley-Lawrence and Bellamy-Lawrence, Toronto’s animal clinics. Winter is a time of blustering winds, freezing temperatures, snow and slippery ice. These conditions can be fun (for some), but for your pet winter can pose serious health risks. At veterinary clinics in Toronto, we see many incidences of frostbite that could’ve been prevented. But it’s easy to protect your pets against the elements this winter if you follow the guidelines below. 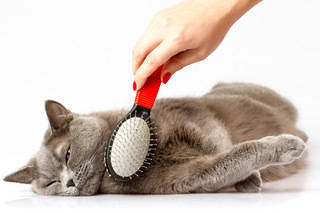 What Causes Hair Loss in Pets? It’s normal for dogs and cats to experience some hair loss throughout the year. Shedding has normal seasonal components. For example, at animal clinics across Toronto, we notice more shedding and dry flaky skin on family pets once furnaces go on in the fall and winter. Using a humidifier can help alleviate some of the problem. We all want the best for our pet but the ongoing debate surrounding vaccines leaves many of us feeling confused. 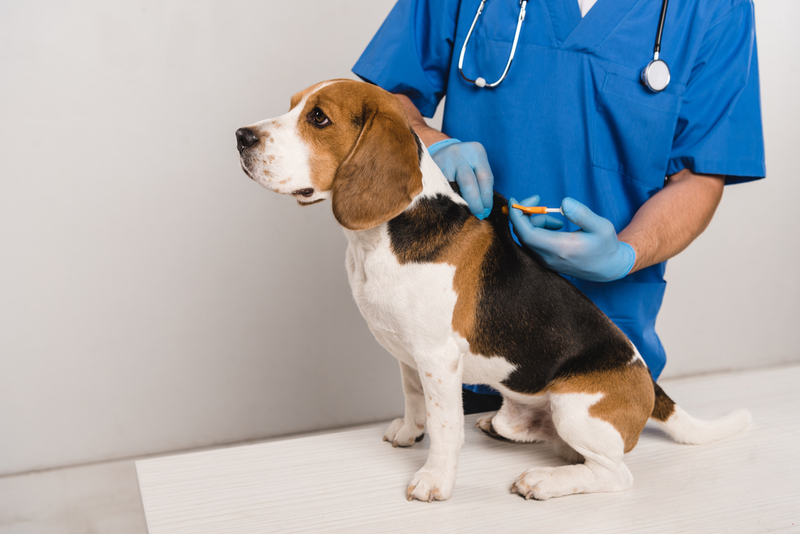 Are you unsure if vaccination is right for your pet? Don’t worry! This small guide will help you make an informed decision. Fleas are a cat owners worst nightmare. These tiny insects feed off your fluffy friends blood, causing very itchy and sometimes painful bites. Unfortunately, these little pests are very hard to exterminate: they reproduce at an astonishing rate and they protect themselves with a hard shell on their back! As the heat rolls in, so do summer pests and parasites. Summer brings insects directly to our backyards, homes and felines during peaks of warmth and sunshine. Some bugs are harmless while others can be dangerous to your pet’s health and wellness. There are preventative measures you can take during the warm months. 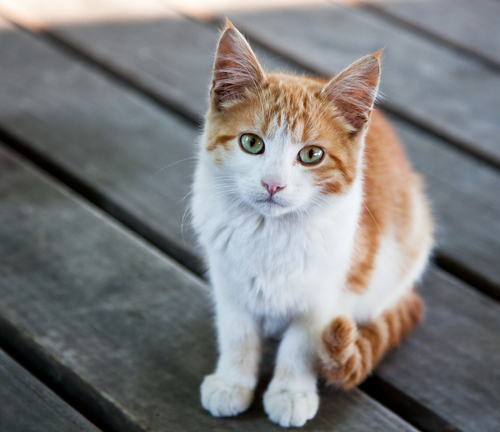 We have tips for you so that you and your cat can have a great and safe summer. Dental care is not only important for you but also for your furry best friend too! Taking care of your pet’s oral hygiene is absolutely necessary. Pet dentistry plays a major role in your dog or cat’s overall health and happiness. Just like their physical health, you have to look after their teeth and gums as well. Should I be Worried about Ticks and Lyme Disease? You love your pet, and so all the hoopla about Lyme disease leaves you feeling a bit bewildered. Is it a real threat? Can it kill your dog? And how can you prevent it? Read on to learn about the main thing you need to watch out for when it comes to your dog, ticks and Lyme disease. Spay and Neuter Your Pet at a Veterinary Clinic for a Safe and Quick Procedure! Have you made the decision to spay and neuter your beloved pet? If you are still on the fence about the idea, you should reconsider your options. Spaying and neutering your cat or dog could have significant impacts on their health and behaviour. Your cat or dog is much more than an animal. They are your companion and best friend. The choice to spay or neuter your pet is healthy, beneficial and necessary. This procedure curbs unwanted behaviour and prevents disease. The arrival of a new puppy or kitten is an exciting time for any pet owner. To avoid worms and diseases, preventative measures are absolutely necessary. All animal companions need to undergo deworming to ensure a happy, healthy and long life. TThe decision to spay or neuter your pet is an important one for both your family and pet. The teams of professional veterinarians at our animal clinics in Toronto are here to provide options for a smooth procedure and transition for your cat or dog. 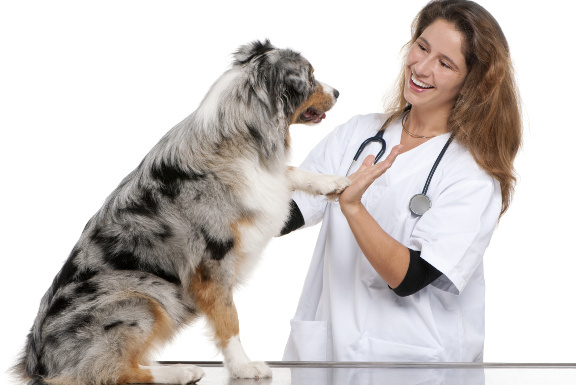 Pet owners can rely on our comprehensive veterinary care. There are many health and behavioural benefits to spaying or neutering your pets. Your animal companion deserves to lead a happy and long life. With spring around the corner, it is important to discuss preventative measures for heartworm disease for your animal companion. Heartworm disease is a serious danger with life-threatening consequences for your dog or cat. Our veterinary clinics in Toronto want pet owners to have access to education, prevention and treatment for their pets. 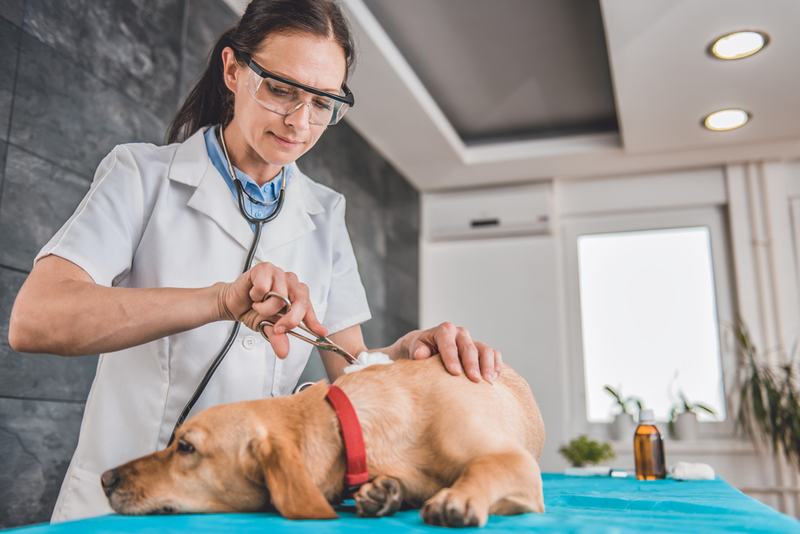 Here is what you need to know about heartworm disease and what you can do to ensure a happy and healthy life for your furry friend. Your dog will eat anything. From the most savory dog food to unsecured garbage, your canine with ingest anything it can get its paws on. And as a dog owner, you’re concerned about the things your dog consumes. But high-quality dog foods can be pricey. If you are looking for a healthy alternative to costly dog food, you may only need to look as far as your own refrigerator. While we all know that dog owners should never give chocolate to their beloved family pets, there are a number foods that are completely acceptable to feed your fury friend. Listed below are some everyday human foods that are healthy for your animal to eat. From the first day you brought your dog home, you've loved him. As a puppy, all he wanted to do was play. And as he's grown, you've enjoyed his companionship and loyalty. But no matter how old your friend gets, one thing never changes: those sad puppy eyes watching you as you eat. Whether you eat every meal at the dinner table or in front of the television, your dog has been there watching you. And when you do give in to those sad eyes, it's important to know what not to give him. Listed below are five substances you need to make sure your dog never consumes. Stress is a normal part of everyday lifeāfor both humans and animals. Just like people sometimes have a hard time coping with stress, dogs can also struggle in stressful situations. Aggressive dog breeds sometimes lash out in stressful situations, while some breeds stress so much that they make themselves physically ill. By familiarizing yourself with stress indicators, you can prevent attacks and injuries, and also keep your pet happy and healthy.